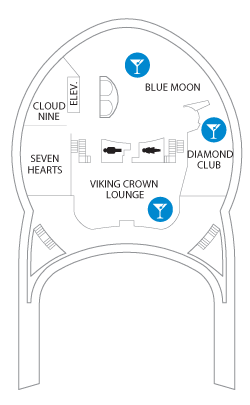 Deck 14 features Seven Hearts, Cloud Nine, Crow's Nest, Blue Moon, 19th Hole, and the Viking Crown Lounge. 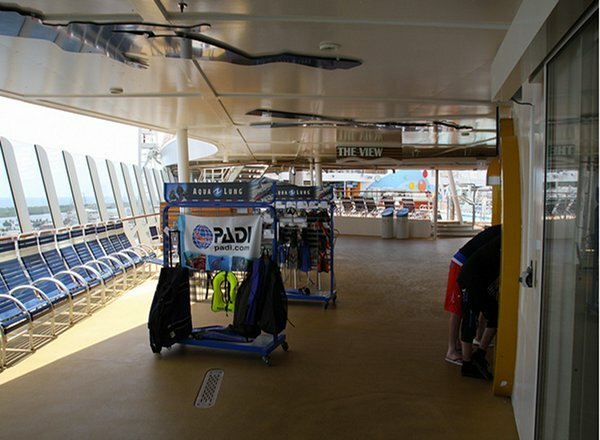 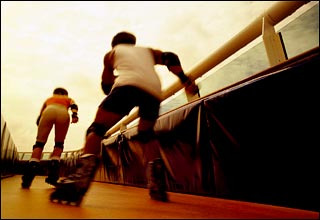 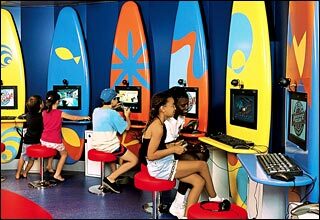 Deck 13 features the sports court, Adventure Dunes, the in-line skating track, and the rock-climbing wall. 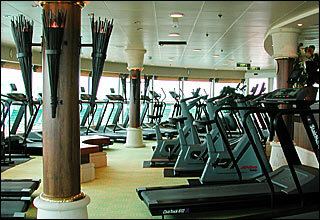 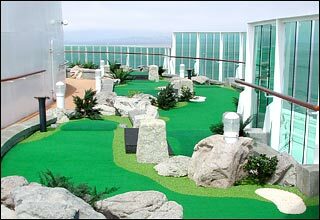 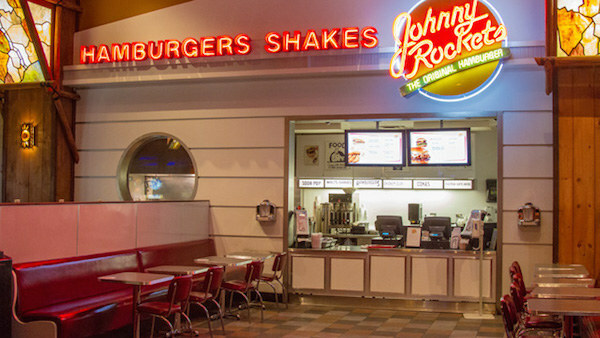 Deck 12 features the ShipShape Fitness Center & Spa, jogging track, Sky Bar, Adventure Ocean, Adventure Beach, Optix Teen Disco, Johnny Rockets, and the Centrum. 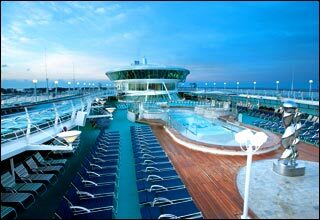 Deck 11 features the ShipShape Fitness Center & Spa, Windjammer Cafe, Portofino, Island Grill, two outdoor swimming pools, whirlpools, pool bar, swim shop, Solarium, Solarium bar, and the Centrum. 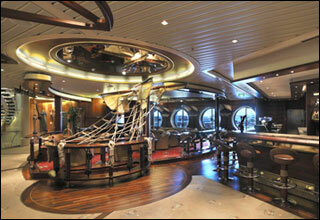 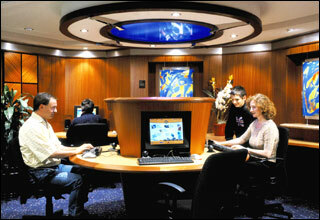 Deck 10 features staterooms in categories RS, OS, GS, JS, AW, D1, E1, K, L and AZ, as well as the Centrum. 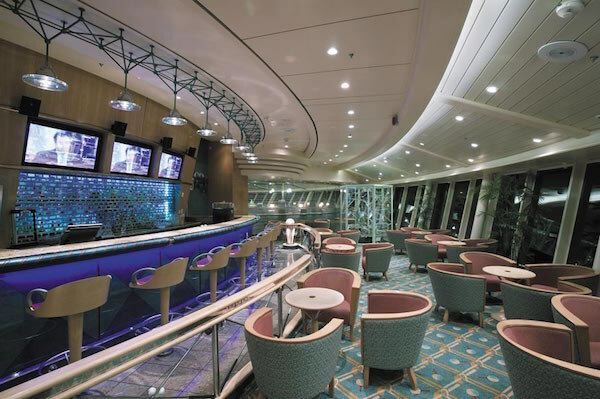 Deck 9 features staterooms in categories FS, JS, D1, D2, E1, FO, F, G, K, L, M and AZ, as well as the Concierge Club and the Centrum. 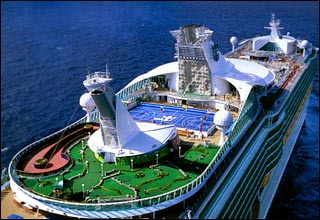 Deck 8 features staterooms in categories FS, D1, D2, E1, FO, F, PR, K, L, M, and Q, as well as Royal Caribbean Online and the Royal Promenade. 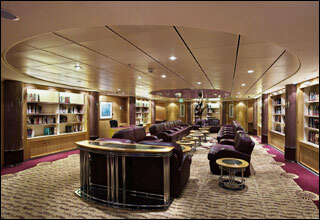 Deck 7 features staterooms in categories JS, D1, D2, E1, E2, AX, FO, F, G, PR, K, L, N, Q and AZ, as well as the library and the Royal Promenade. 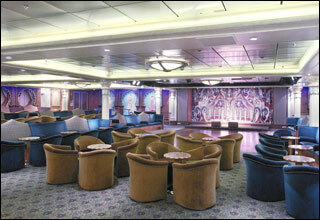 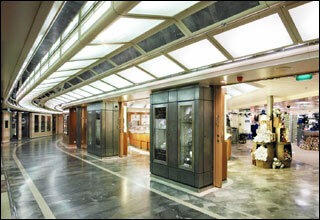 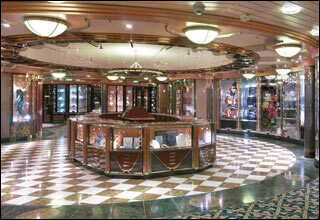 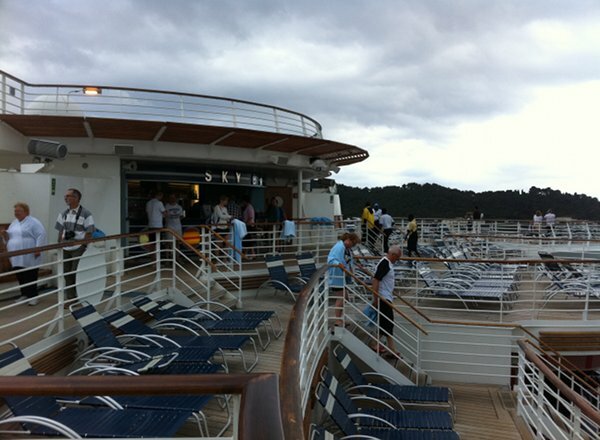 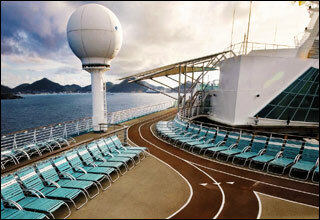 Deck 6 features staterooms in categories JS, D1, D3, E1, E2, AX, FO, F, G, PR, K, L, N and Q, as well as the Royal Promenade. 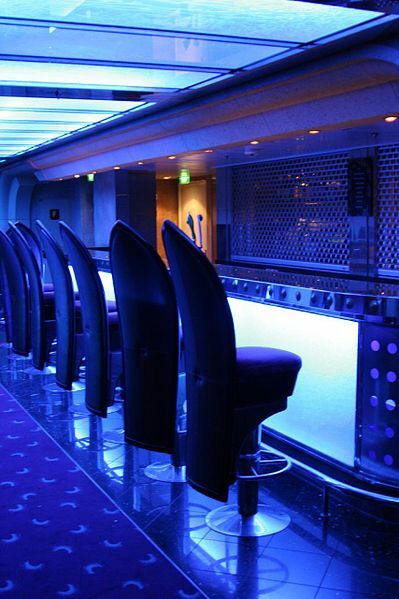 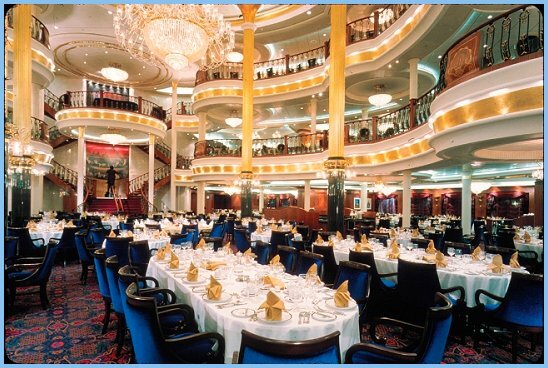 Deck 5 features the Mozart Dining Room, Imperial Lounge, Champagne Bar, Connoisseur Club, observation deck, Cafe Promenade, ice cream bar, the Duck and Dog Pub, Gravity Sports Bar, shops, and the Centrum. 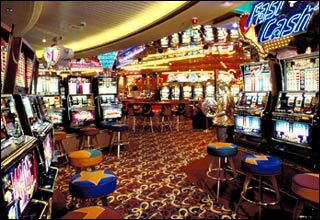 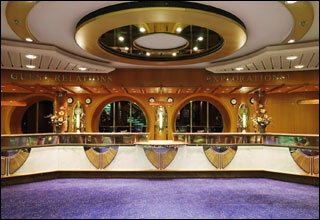 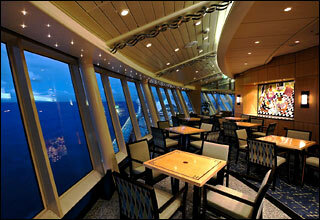 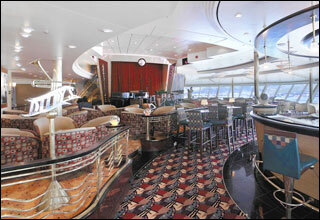 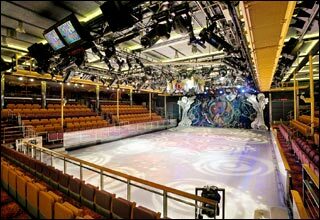 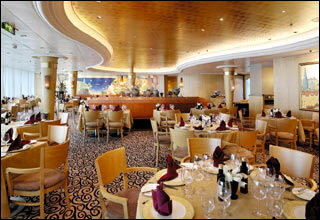 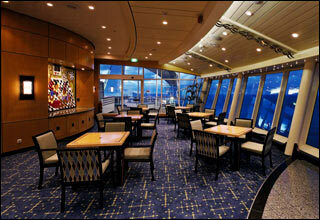 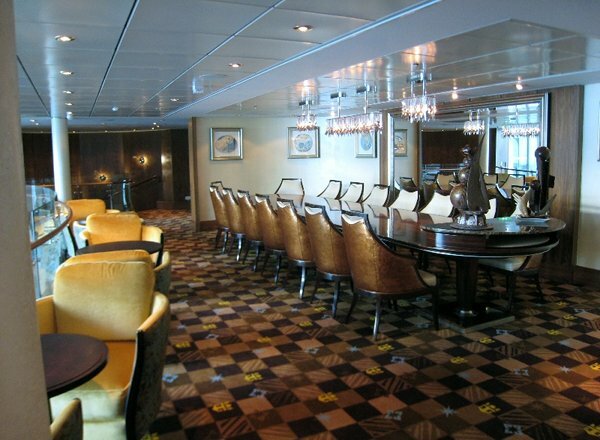 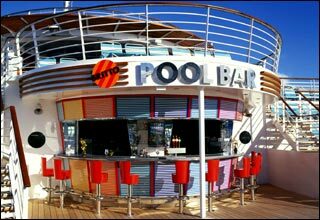 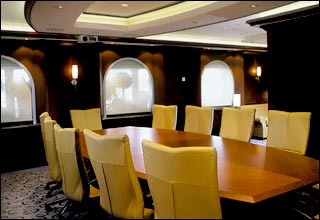 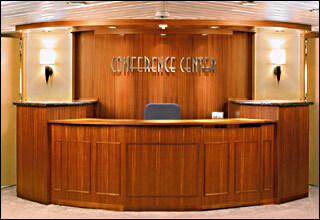 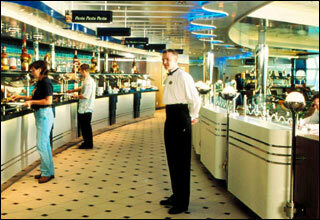 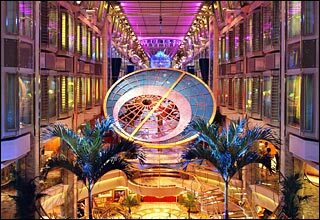 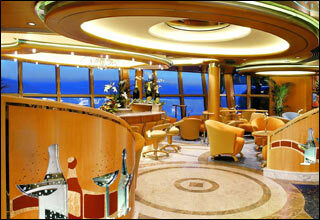 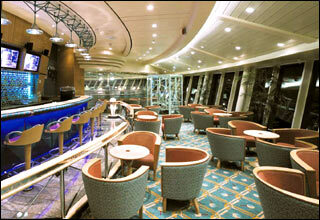 Deck 4 features the Strauss Dining Room, the Lyric, Schooner Bar, Casino Royale, Jester's, Aquarium Bar, and the Centrum. 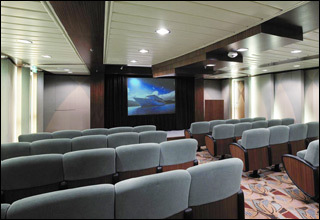 Deck 3 features staterooms in category G, as well as the Vivaldi Dining Room, the Lyric, Studio B, photo and art gallery, and the Centrum. 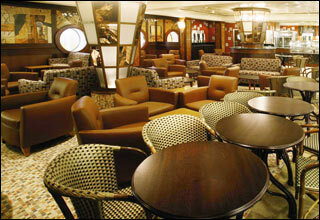 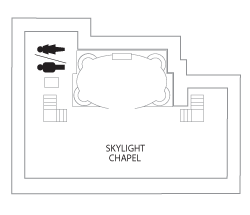 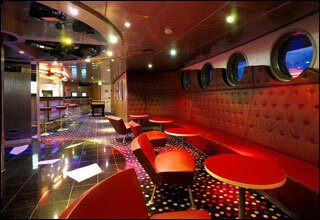 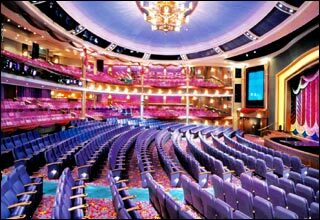 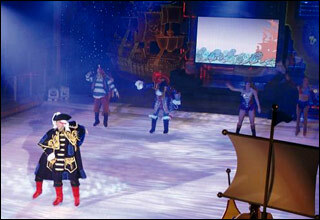 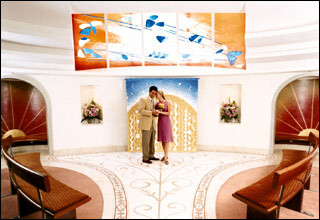 Deck 2 features staterooms in categories H, I and AY, as well as the Lyric and the entertainment complex.